This site is now maintained by the Doyle APC law firm. We are in the process of updating the site. Should you have any questions or concerns, you can email us at info@doyleapc.com, call us at 1-800-736-9085 or fill out this contact form. Thank you for visiting. The Doyle APC law firm helps people injured by defective and dangerous products. We are experienced mass injury and complex litigation attorneys with a nationwide practice. We only take cases on a contingent-fee basis. If we don’t win, you don’t pay. We provide personal service and deliver excellent results. We care about you and your right to justice. If you fill out the contact form on this site, you will get a call from an experienced lawyer or their assistant, not a marketer or salesperson. All consultations are free. The information on this site is factual and was collected through a significant amount of research. We do our best to keep this information up to date. We are currently in the process of reviewing and updating the information on this site. Should you have any questions, please do not hesitate to contact us. For further fact checking, you can review some of the references listed below. Content on this site has been sourced in part from these references. No. Your personal information is never shared with any third-party. If necessary, we would only share your information with other qualified legal professionals who have experience in mesh litigation and only when necessary to provide the services you request. Your personal information is kept strictly confidential. After submitting your contact information using our secure form, a friendly and experienced mesh lawyer or their legal assistant will contact you to discuss your potential claim for compensation. The lawyer who reaches out to you may or may not be located in your particular state. Our lawyers handle hernia mesh claims throughout the United States. Unlike a car accident or other local injury claim, this complex and large hernia mesh litigation (over 3,000 claims pending in federal court alone) is nationwide in scope. It is important to discuss your potential claim with an experienced mesh lawyer, not just a local lawyer. 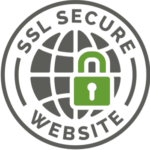 Any personal information you provide to us through this site or over the phone is strictly confidential and protected. Everyone associated with this site works for an attorney or law firm. We will need some personal and medical information from you in order for us to determine whether you have a legal claim for compensation and if you do, expediting the process to pursue that claim. While detailed medical information is very helpful to us, it is not necessary to get started. We can start analyzing your potential claim immediately with just some basic information you can provide to us over the phone. If you believe you have a claim, then please contact us now. There are important deadlines in all legal claims for compensation. Don’t delay. This article further discusses the information that is most helpful to us in determining whether you have a claim for compensation: What to know before you file a hernia mesh lawsuit. Contact us Today to discuss a Claim for Compensation. To get started, simply fill out the short form below.